The overwintering deployment of an icebreaker during the Canadian Flaw Lead study provided an opportunity to evaluate how protist communities (phytoplankton and other single-celled eukaryotes) respond to changing spring irradiance conditions in flaw lead polynyas, where open water persists between the central pack ice and land fast ice. We combined microscopic analysis of the protist communities (all cell sizes) with clone libraries of 18S rRNA genes and 18S rRNA (from RNA converted to cDNA) of size-fractionated seawater (0.2–3.0 μm) from 10 to 12 m depth in the surface mixed layer. The rRNA gene analysis provided information on the presence of organisms, while the rRNA analysis provided information on the most active members of the community. There was little overlap between the two types of clone libraries, and there were large community shifts over time. Heterotrophic dinoflagellates and ciliates were the most common sequences recovered. The relative proportion of photosynthetic protist sequences increased in March and April, and there was greater representation of Bacillariophyta, Prasinophyta, Haptophyta, and Cryptophyta in the rRNA compared to rRNA gene libraries. Microscopy indicated that large-celled diatoms dominated the community in May, when chlorophyll concentrations were greatest. However, the RNA sequencing showed that heterotrophic and putative parasitic protists were proportionately more active, and the concomitant decrease in nutrients suggested that the spring phytoplankton bloom had begun to decline by this time. These observations provide evidence of substantial changes in protist community structure and function during the spring transition. This article belongs to the special issue “Circumpolar Flaw Lead study (CFL)”, coordinated by J. Deming and L. Fortier. We thank Marianne Potvin for her assistance with laboratory work, and our fellow scientists, officers, and crew of the CCCG Amundsen for their support during the cruise. We also would like to thank E. Sherr and two anonymous reviewers for constructive comments on earlier versions of this manuscript. 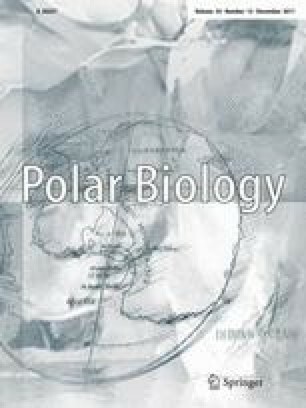 This work is a contribution to the International Polar Year—Circumpolar Flaw Lead system study (IPY-CFL 2007/2008) led by D. Barber (University of Manitoba) supported through grants from the Canadian IPY Federal Program Office and the Natural Sciences and Engineering Council (NSERC Canada). This is a contribution to ArcticNet.